The White River Hometowns Fund provides grant opportunities for organizations and projects that serve the White River community including Buckley, Carbonado, and Wilkeson. White River Hometowns Fund was created by Marydale Brooks a longtime Buckley community resident. Marydale was a quiet philanthropist who worked closely with local community members to support special opportunities in the White River community. 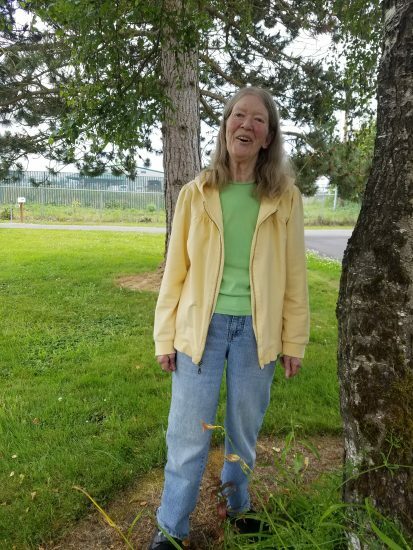 Marydale passed away in 2018. This Fund was setup as an endowment for the White River community and will continue to support its residents for years to come. White River Hometowns Fund founder Marydale Brooks shared GTCF’s belief that it is important to draw on the experience and expertise of local community members to review competitive grant applications. A committee of local volunteers will review applications and make recommendations to GTCF about which applications to fund. Can I apply if my organization is located outside of Buckley, Carbonado or Wilkeson? Organizations located outside of Buckley, Carbonado or Wilkeson may apply as long as the funding requested serves only the residents of those communities. Are there any restrictions on what can be funded through this program? What if my organization has a fiscal sponsor? Eligibility will be based on the budget of the organization sponsored, not the budget of the larger organization serving as the fiscal sponsor. However, we will require the budgets of both organizations as part of our due diligence review. What are the reporting expectations for organizations who receive a grant through this program? GTCF requires a written grant report from each organization who receives funding. The grant report will be due within six months of fund distribution. We will send reporting requirements before the report is due. If you have technical questions about the application and online portal, please contact Jason Hamman, Grants Administrator at 253.345.4168 or by email here. For questions about applying or the grant process, please contact Sherrana Kildun, Director of Donor Services at 253.345.4171 or by email here.